At trade fairs, brands stage themselves as an experience - this is a long runner among the trends for spatial communication but with a fresh wind sweeping through. Especially at the international top-ranking OutDoor fair from 18 to 21 June 2017 in Friedrichshafen, the experience is important, because natural sportsmen are anything but homebodies. What is more obvious than presenting clothing and equipment not only in a three-dimensional way, but also staging brands in the context of action? At the OutDoor, one of the magic words is microadventures: small adventures that anyone can integrate into everyday life without a big amount of time or material. In this case, the trade visitors are not only able to experience Alastair Humphreys, one of the most famous British microadventurers, live on stage, but after pre-registration they can also take part in an overnight camp in the open countryside. A real experience combined with the unknown to transfer the outdoor spirit to the target group. At the OutDoor, real experiences form the environment for the latest collections of Natursport brands. The mini-adventures are closely linked with the trend towards urbanization. More than half of all people now live in cities, the city as a habitat is being re- and newly discovered. However, the relationship of the inhabitants to their city changes, which more and more has to satisfy the need for recreation and nature. A solution can be small escapes from everyday life, such as urban outdoor activities, meaning nature sports as a big city adventure - one of the exhibitors' focal points at this year's OutDoor. For the first time, with the special area "Lifestyle Collection" there is a market place for Urban Outdoor, where functionality fuses with fashion. The desire to make the cities more worth living feeds another brand trend: sustainability. With increasing frequency, outdoor jackets are made of recycled materials or contain chemically free dyes to protect the environment. At the same time, more and more companies in the trade fair sector are also looking for sustainability in relation to their customers. Because a longer-term partnership also offers better possibilities to reuse materials or to optimize and reduce pollutive transports. Brand Space as "Trend Setting"
Experiencable, urban and sustainable – this trend triad exemplary shows at this year’s OutDoor appearance of adidas sub brand Terrex, made by D’art Design Gruppe from Neuss, Germany. On the stand visitors move between metres high word sculptures that indicate an alpine landscape. The sporting goods manufacturer, which is strategically also focussed on large cities, combines DJane-accompanied happy hours and interviews with big names of the outdoor scene on a stage integrated into the booth. In addition to dye-free, white shoes as a highlight, the sustainable collection with yarn from washed ashore plastic waste, a collaboration with Parley, is also presented. The brand space captures a number of different trends here that are mutually reinforcing because they all contribute to the same phenomenon: the outdoor enthusiasm. At the start of the OutDoor fair in 1994 the development of a niche existence to a downright mass movement was not yet to be foreseen. At that time, natural sports such as jogging, climbing or snowboarding were considered as marginal group hobbies. 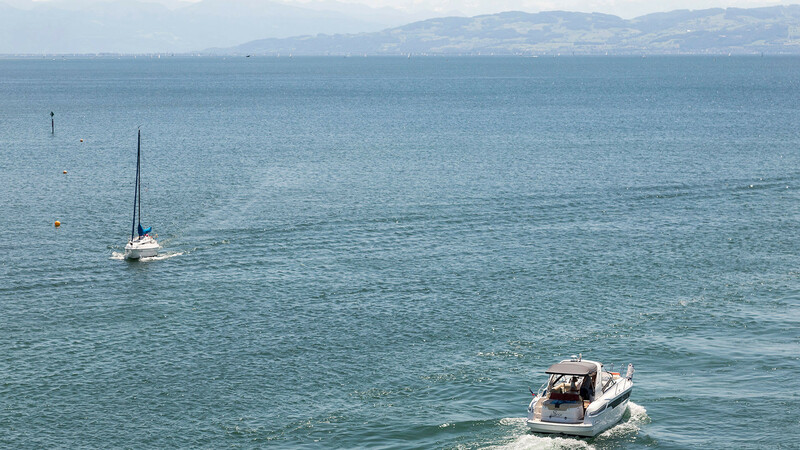 In spite of the development to a mega market, the leading outdoor fair has remained loyal to Friedrichshafen: a location that is not as big and conveniently placed as Hannover, Frankfurt or Cologne, but transports the outdoor spirit like no other.